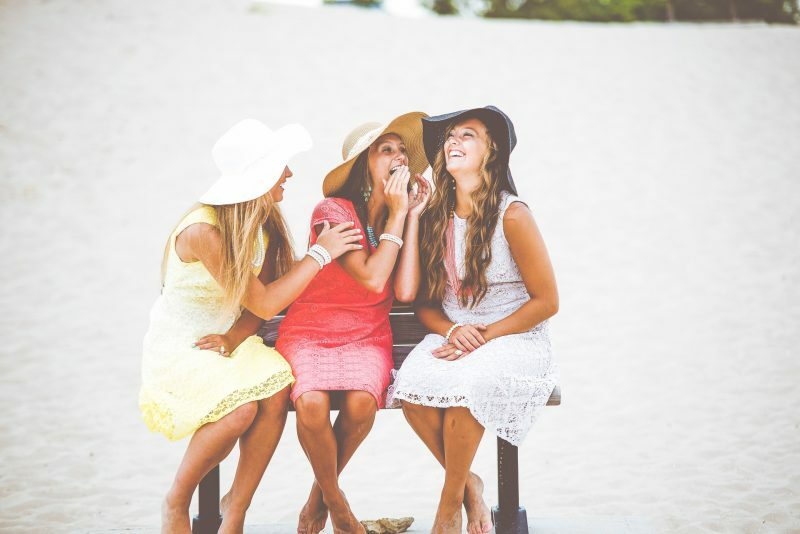 If you’re planning a girls’ getaway to Anna Maria Island, you’re in luck: there are tons of great things to do on Anna Maria Island with your BFFs. Visit Anna Maria Island spas, relax body and mind at a rejuvenating yoga class, and eat, eat, eat. Anna Maria Island spas are a real treat for the body, mind, and soul. What better way to start the day than a relaxing massage, rejuvenating facial, or mani-pedi with the girls? Book a post-breakfast treatment at one of these great spas before hitting the beach. Bradenton Beach’s Aluna Wellness Center & Spa (2219 Gulf Dr. N.) is a five-star spa known for its top-notch massages and pain-relieving acupuncture. This is one of the best Anna Maria Island spas for a post-beach backrub. Body & Sol Spa and Wellness, located at the north end of the island, offers therapeutic massages, nails, and facials in a relaxing environment. You and the girls will feel like a million bucks after an hour or two at Body & Sol. Salon Salon on Pine (313 Pine Ave.) is another north end Anna Maria Island spa that is known for its quality service and friendly staff. Its hip turquoise interior complete with a chalkboard in the shape of a surfboard makes it a little less stuffy than other spas. From wedding hair to a mean mani-pedi, this salon offers all you need to feel beautiful on your girls’ getaway to Anna Maria Island. You’ve heard it before: true beauty means feeling great inside as well as out. Take a yoga class to stretch your muscles, align your body, and clear your mind while on a getaway with your girlfriends. Island Yoga Space (9805 Gulf Dr.) is a great place to start. They are located in the city of Anna Maria on the north end of the island. They offer a variety of classes, from vinyasa flow to gentle yin, as well as workshops and events. The studio is conveniently located right upstairs from Body & Sol Spa, overlooking the blue gulf waters. Take an energizing yoga class, then unwind with calming massage. If you’re looking for a bit of diversity in your vacation exercise regime, grab the girls and head to Island Fitness (407 Magnolia Av.) in Holmes Beach. Take a yoga class, or opt for something a little different, such as yoga/pilates mix or “guts & butts” to give your abdominals and glutes a workout. Now that you’ve got a solid workout, indulge in some Florida delicacies. Eating is one of the best things to do on Anna Maria Island. There are a number of fabulous restaurants for a perfect girls’ night out. The Sandbar Restaurant (100 Spring Av.) is an excellent choice for any occasion. It’s the only restaurant that allows you to dine with your toes in the sand, with tables right on the beach. Elegant and casual at the same time, The Sandbar has scrumptious menu of seafood creations, including stuffed grouper, stone crab, and coconut shrimp. For something a little more casual but with incredible flavor, head to eat here AMI, a cozy restaurant with a creative, eclectic menu. Pair your meal – try the bruschetta, lime-butter mahi mahi, or swordfish – with a flavorful craft beer or a glass of wine from the long drink menu. Even if you have your own kitchen at Anna Maria vacation rentals, it’s nice to go for a big breakfast at least once. Grab breakfast or brunch at Anna Maria Island Beach Café, located right on beautiful Holmes Beach. They have lots of great breakfasts, but the all-you-can-eat pancakes is a definite winner. Consider Anna Maria vacation rentals for your next girls’ getaway. We have plenty of accommodations to choose from, including multi-bedroom homes so your group can stay together. With so many group-oriented things to do on Anna Maria Island, there’s something everyone in your party will enjoy.